The Linksys Cloud Manager is a new feature of the Linksys Business Dual-Band Cloud Access Points which allows you to remotely access and manage multiple access points, networks, and businesses under one login and easy-to-use dashboard. Based on your network needs, you can choose to manage your access point via the local interface. The access points offer advance features on the local management side only. Some of these options are not supported in the Linksys Cloud Manager. 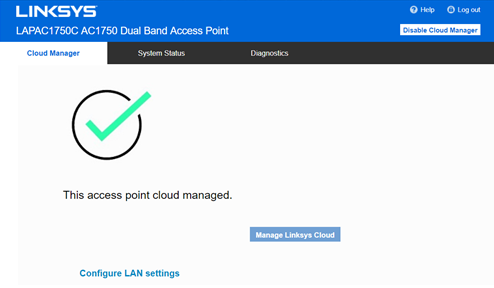 This article will help you enable or disable the Cloud Manager of your Linksys Business Cloud Access Points. NOTE: Enabling or disabling the Linksys Cloud Manager will reset all settings of your access point and you will need to reconfigure it. Open a web browser and enter the IP address of your access point in the Address bar then press [Enter]. The default IP address of the access point is 192.168.1.252 if it is not connected to a DHCP network. NOTE: You can check the IP address of your access point in the DHCP client’s table of your router’s local interface. To know how, click here. If your access point is still associated to the Cloud, you can check the TCP/IP settings. To learn how, click here. If you have changed the password, enter that in the field instead. Otherwise enter “admin” in both the Username and Password fields then click Log in. 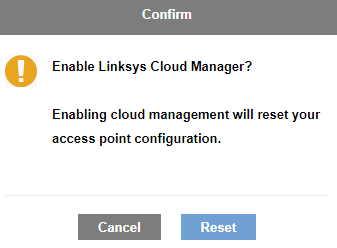 By default, the Linksys Cloud Manager is enabled. To disable it, click on the Disable Cloud Manager button. 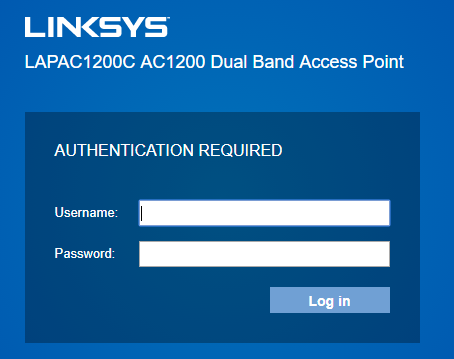 NOTE: When you disable or enable the Linksys Cloud Manager, the access point will reset its settings. You will need to reconfigure it. To enable it, click on the Enable Cloud Manager button located at the top-right side of the local interface. 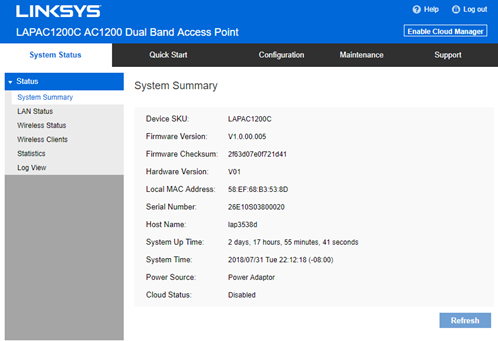 IMPORTANT: If your access point still shows that it is Offline after re-enabling the Linksys Cloud Manager, make sure to delete that access point from the Cloud. To learn how to delete an access point, click here. Once deleted, add the access point again. To learn how to add an access point, click here.